Situated on sprawling wooded grounds under Pacific Northwest pines, The Mill at Mill Creek Apartments sets the bar for luxury. With a wide array of features and upgrades, our one and two bedroom apartments for rent in Mill Creek, WA, off I-5 near the Mill Creek Town Center are the ideal location for students, professionals, families, and everyone in between. Choose from more than twenty unique floor plans, offering generous square footage and professionally designed interiors. Select homes include top-of-the-line kitchens, complete with black or stainless-steel appliances, custom countertops, and cabinetry, and satin nickel hardware and finishes. Our apartment homes also boast a cozy wood-burning fireplace, where you can put your feet up after a long day of work or play. More than 10 Unique Floor Plans Ranging From 644 sq. ft. – 918 sq. ft.
With a variety of layouts available, you can find the right-sized space at The Mill at Mill Creek Apartments. Our one and two bedroom pet-friendly apartments for rent in Mill Creek, Washington, feature spacious floor plans ranging from 644 sq. ft. – 918 sq. ft. In addition to our stunning interiors, our apartment homes provide a charming outdoor balcony or patio, where you can listen to the sounds of the rain and start your own potted herbed garden. Reserved covered parking spaces are also available to protect your car from the northwest weather. 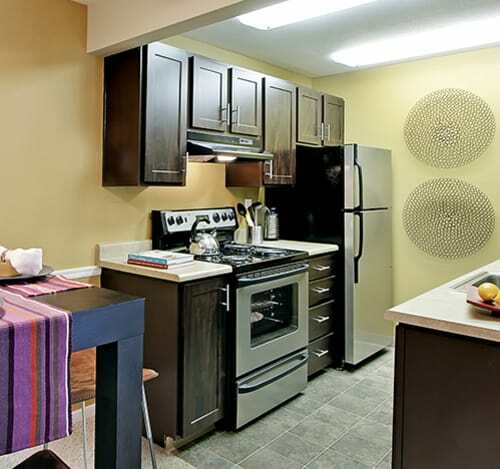 Find your dream space at The Mill at Mill Creek Apartments.